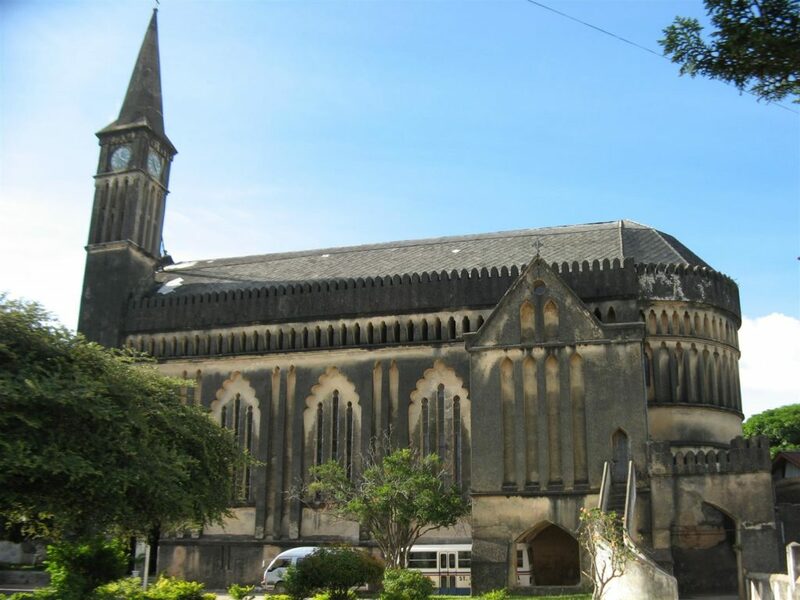 Christ Church Cathedral in Stone Town, Zanzibar, was built by British missionaries in 1879 on the location of the last permanent slave market in East Africa and is a site of international historic and cultural significance. 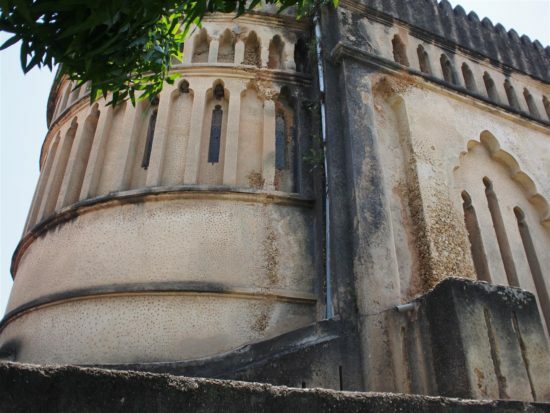 Zanzibar slave market was closed in 1873 amid increasing pressure to abolish the East African slave trade. The Universities Mission to Central Africa (UMCA) purchased the site and built the cathedral under the leadership of passionate abolitionist Bishop Steere. 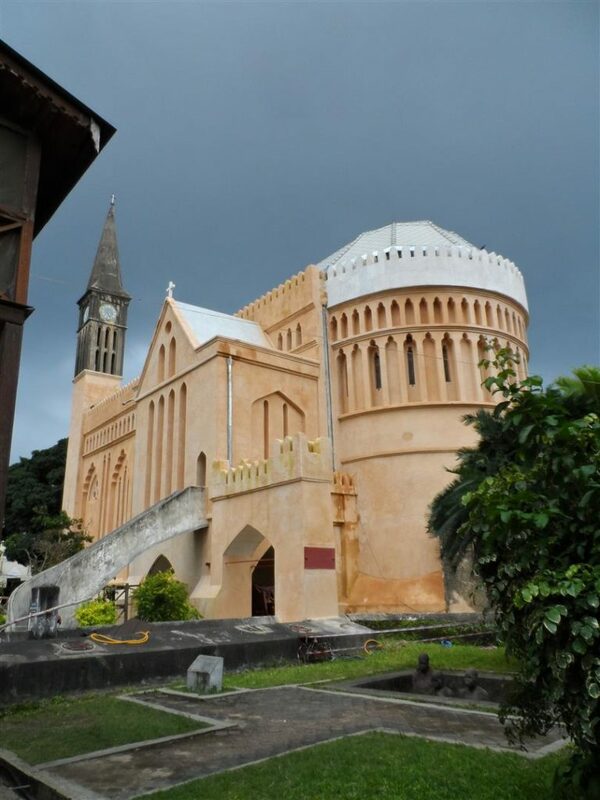 Known as the ‘Slave Market Church’, the high altar was positioned over the whipping post. 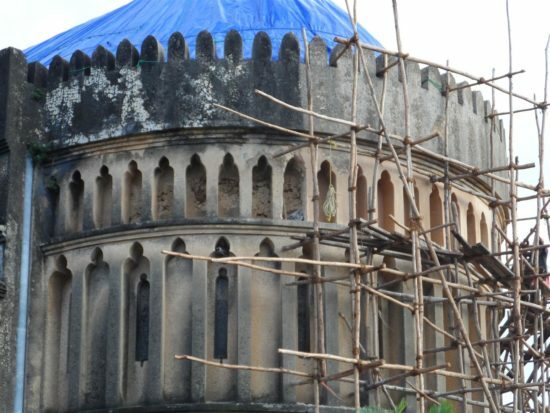 Zanzibar’s tropical climate took its toll on the building and by the time WMFB became involved the cathedral was in danger of collapse. In 2013, the Anglican Diocese of Zanzibar and the Zanzibar Government asked World Monuments Fund to help protect this site of conscience. 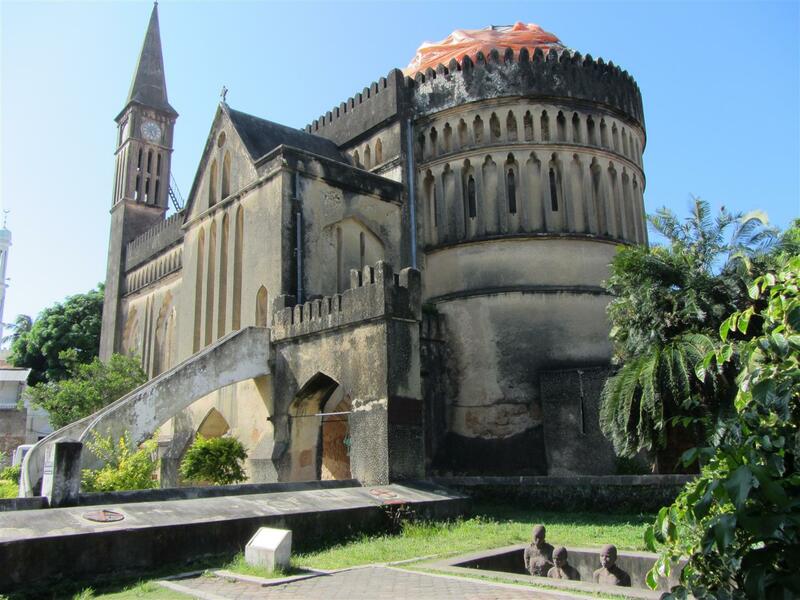 The cathedral and the former slave market were included on the 2014 Watch, and WMF Britain was awarded a grant of €743,000 from the European Union to conserve the cathedral and create a heritage centre commemorating the abolition of slavery. 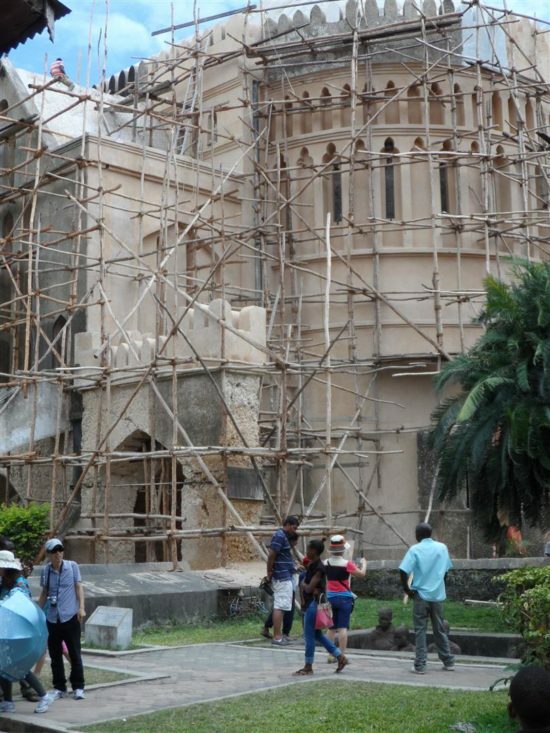 The cathedral was structurally unstable and in deteriorating condition. 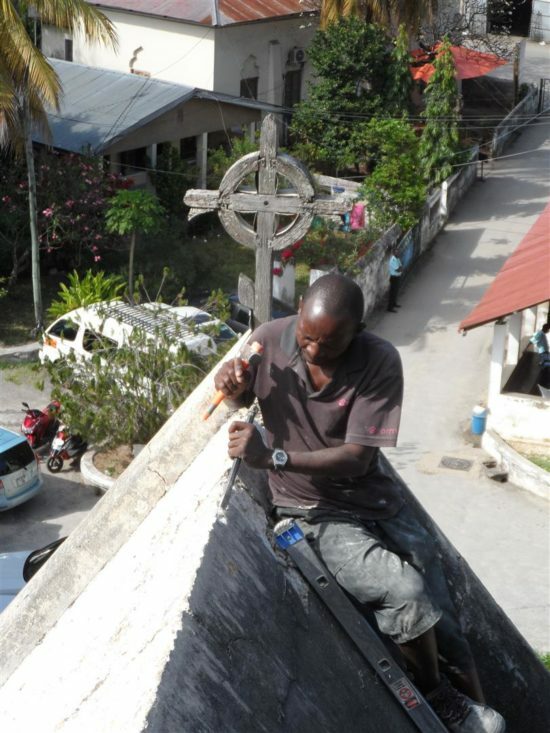 A crack ran the entire length of the roof continuing through the west gable and rose window. 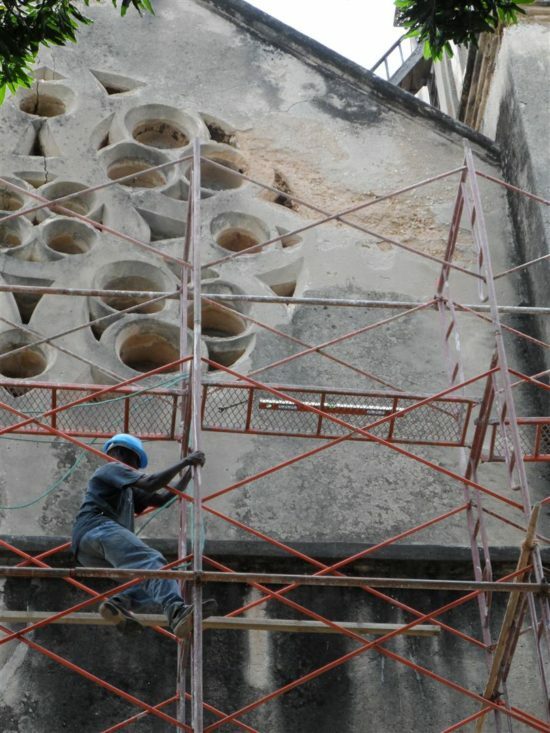 External plaster was decaying and roof materials rotten. 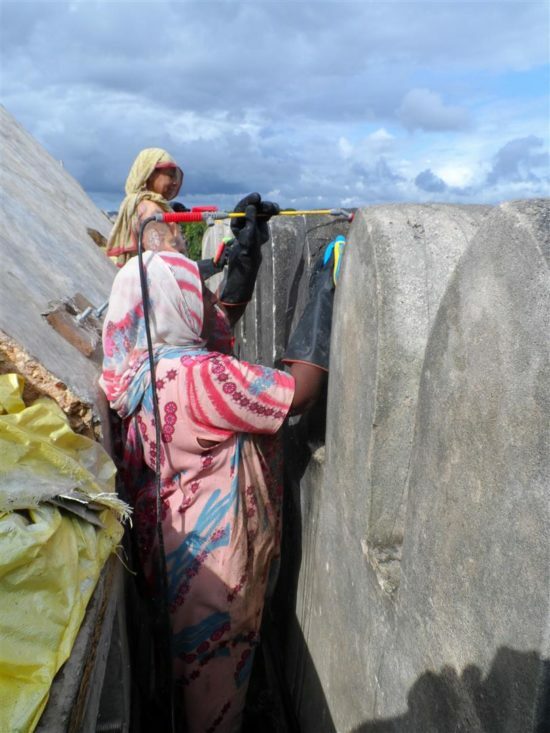 Water streamed through broken roof tiles. 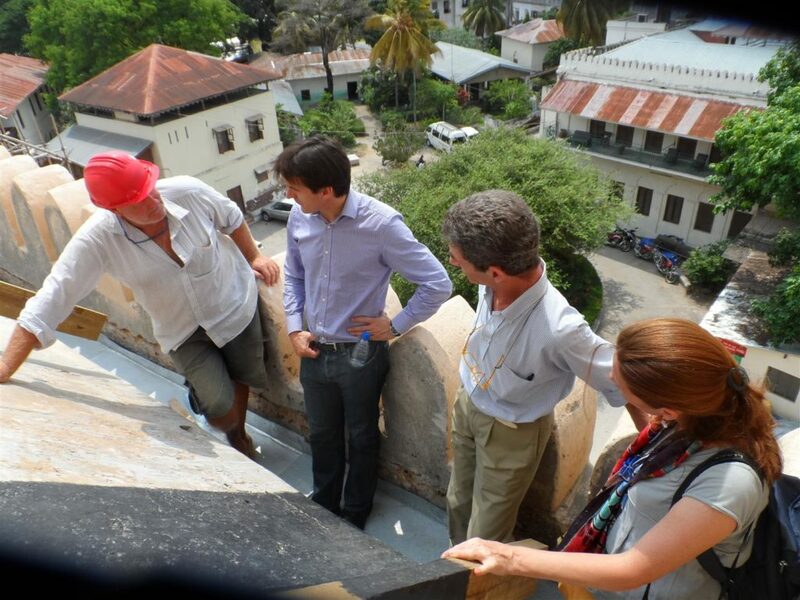 Repair work was undertaken by a skilled local team led by an experienced building conservator. The most urgent structural repairs were completed in February 2014, installing 10 stainless steel rods across the cathedral vault to tie the walls together. 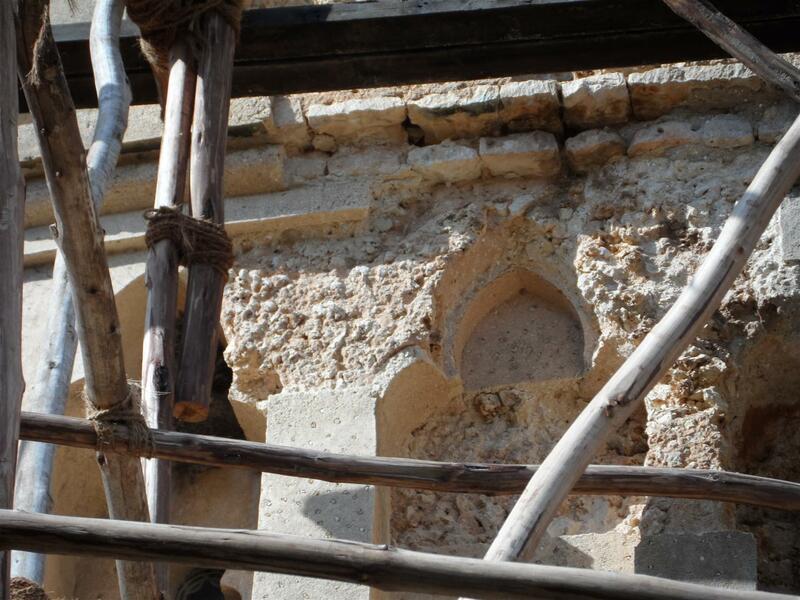 Exterior work commenced with the severely-damaged west gable wall to grout, pin and re-plaster the large structural cracks. 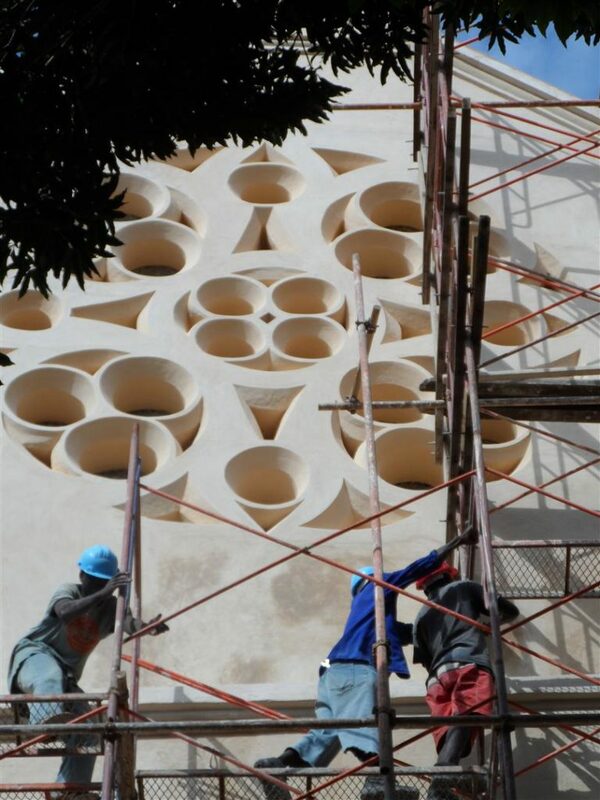 Stained glass is rare in Africa and the cathedral’s rose window dates to the building’s construction. 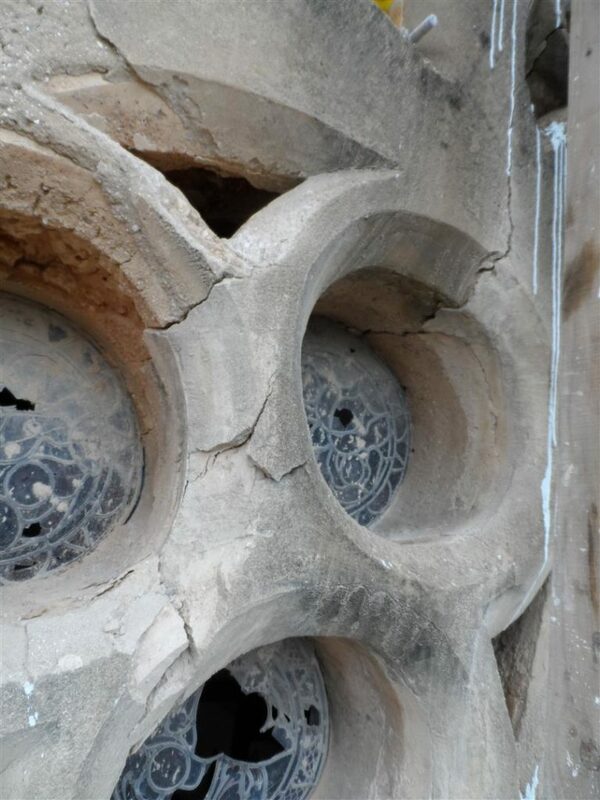 It was carefully conserved to repair cracked tracery and deteriorating plaster. 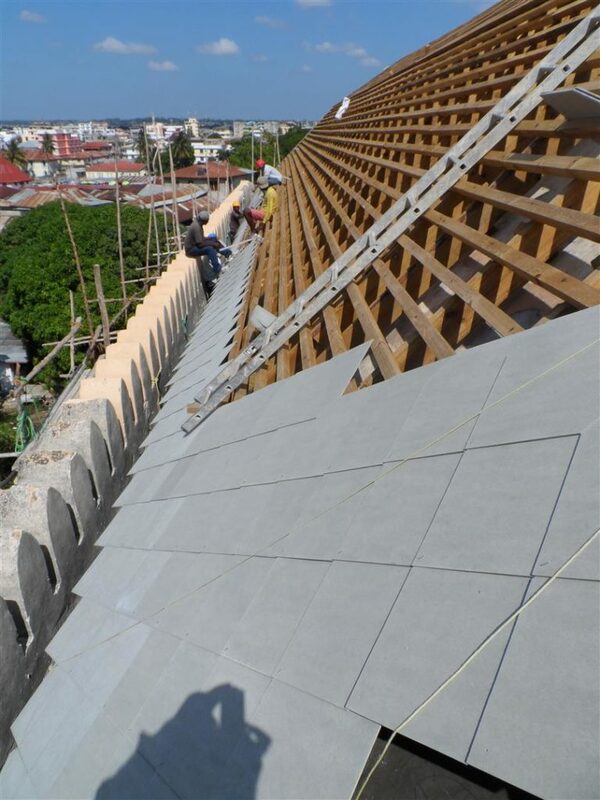 The roof was rebuilt, plaster repairs carried out on the apse parapet and limewash used to revive the external fabric of the building. The team discovered that the apse parapet was originally finished with white ‘Neeru’ plaster made from crushed marble dust – a material used on fine buildings in Stone Town – and reinstated the original finish. The organ loft ceiling was built using boriti timber mangrove poles, which became badly rotten and infested. 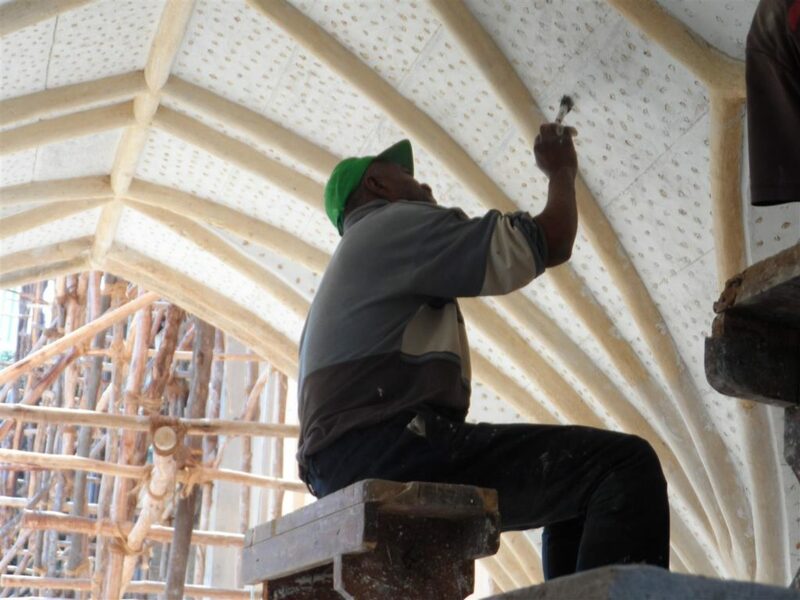 New boriti were inserted, plaster ribs remoulded and small stones inset into the ceiling to restore the original decorative finish. 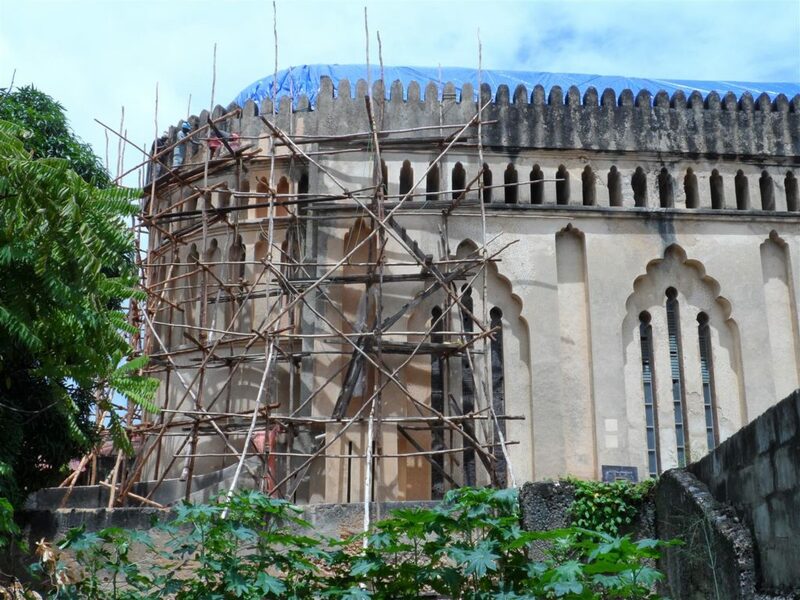 The creation of a Heritage Centre is an opportunity to tell the story of the East African slave trade in an unbiased and factual way, and to promote reconciliation, diversity and tolerance within Tanzania. 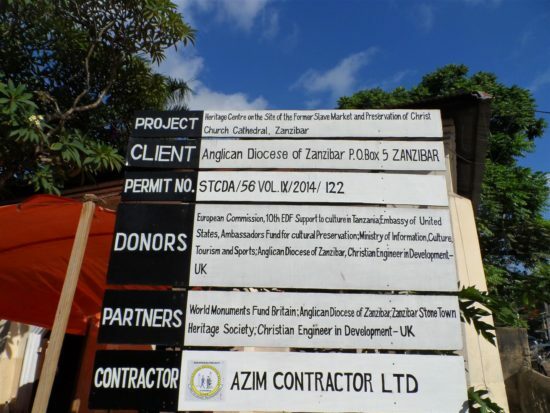 The centre will include an exhibition and education facilities, and is aimed at Zanzibaris (particularly schoolchildren) and also tourists. 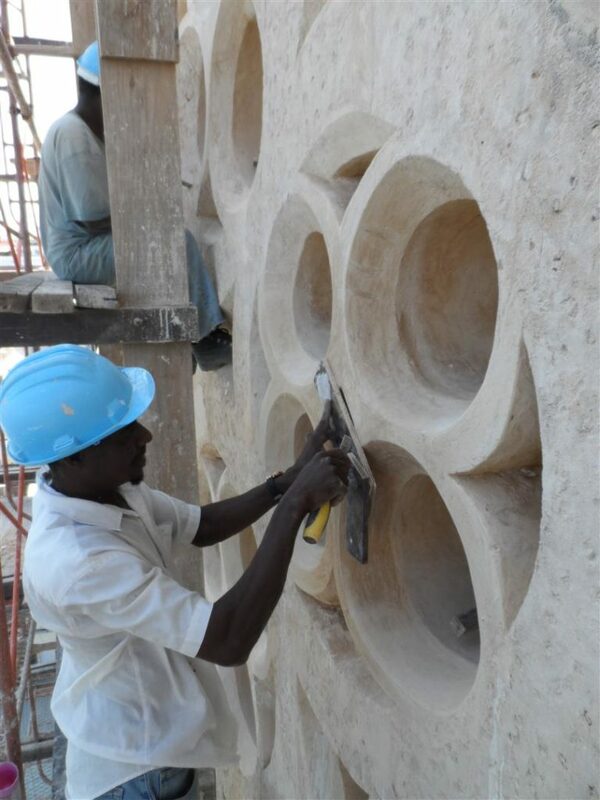 It will encourage visitors, raise awareness, help the economy and create local jobs. 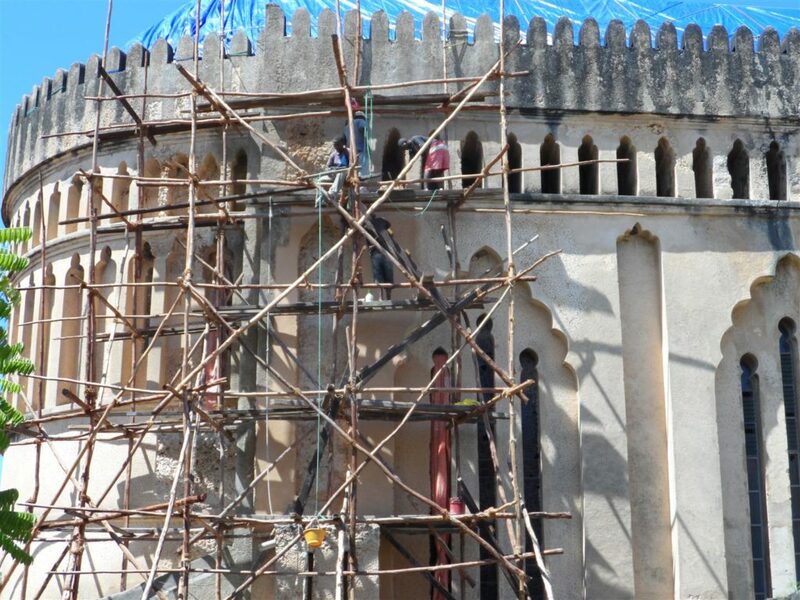 Cultural heritage is an important catalyst for economic development, and protecting the legacy of Zanzibar’s past is a fundamental part of building a successful future. 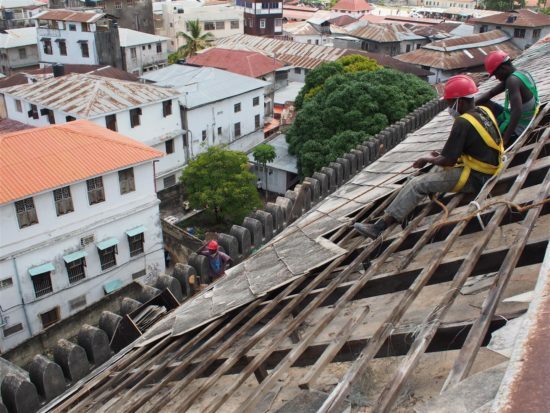 Tanzania is one of the poorest countries in the world, and an estimated 70% of Zanzibar’s residents earn a living from tourism. 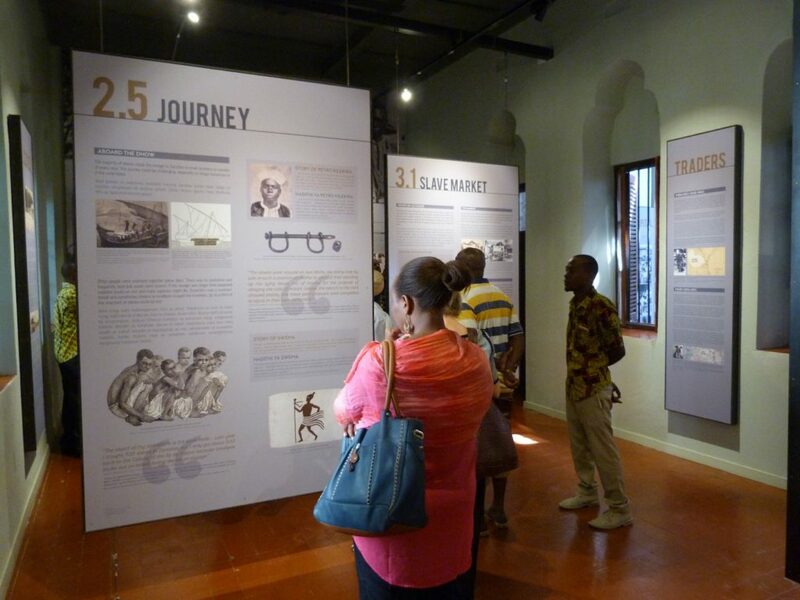 Creating an exhibition and training tour guides will be a valuable contribution. 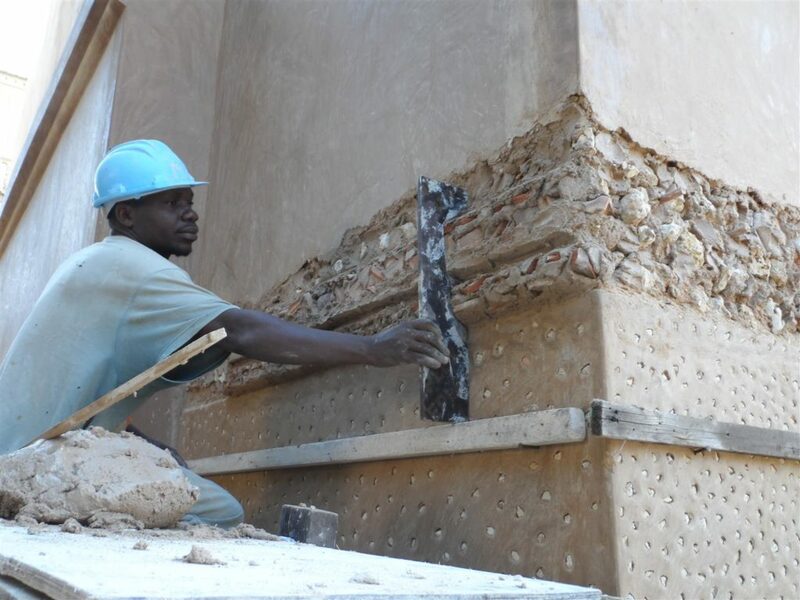 Providing training for craftspeople is an important component of every WMF project in Africa. This approach provides employment, tackles poverty and ultimately ensures that trained craftspeople can maintain their historic monuments. The project funded a timber conservation course for craftspeople, and gave students the opportunity to attend a Heritage Management course at the University of Dar es Salaam.